Stephanie or "Steph" is the shortest member of our team at 5 feet tall "On a good day with heels." 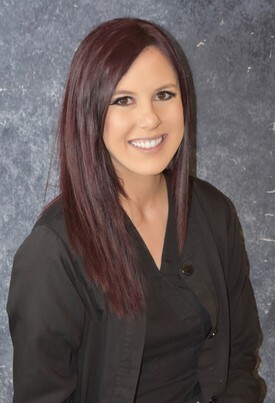 She joined the practice in 2004 and quickly secured a permanent position as Dr. Bennett's lead dental assistant. A resident of Homestead, Florida, she makes the 30 minute commute to our Key Largo office 5 days a week. In 2006, she attended Nova Southeastern University and became certified for expanded duty dental assisting functions. She continues to attend the latest dental education courses to stay a step ahead of her peers. 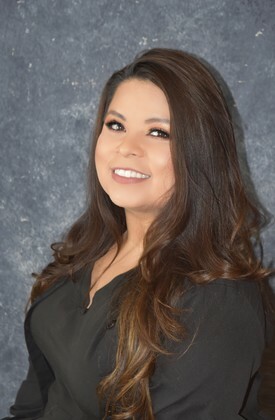 Aside from being certified to operate the E4D crown milling machine, which allows her to fabricate permanent crowns for patients while they wait, she is a master at creating temporary crowns and bridges. During her time away from the office she enjoys spending time with her two dogs: Ike and Bells, her nieces and nephews as well as her Husband Michael. Leslie joined our dental family in January of 2014. She quickly became popular with our long-time patients. At 22 years old, she is an "old soul" who exudes positive energy even when her day is hectic. 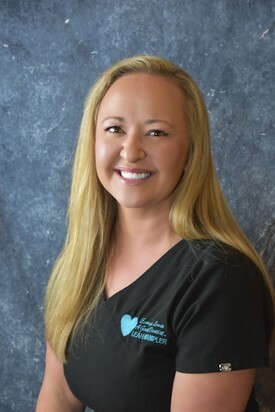 After attending Nova Southeastern University for an expanded duties course for dental assistants (and some coaching from Stephanie), Leslie can give any seasoned dentist a run for his money when fabricating temporary crowns. Aside from her dental talents, Leslie is an accomplished singer/songwriter who plays guitar, drums and piano. She taught music at Jekeaa Music in Riverside, California from 2008 to 2012 to students of all age ranges. Originally from Riverside, California, Leslie resides in Tavernier, Florida, with her Husband Ryan and their 2 dogs Marlie and DC. Her immediate family including her mom, dad and older brother live nearby which makes South Florida feel even more like "home." The most recent addition to our team is Dr. Sandy Brito's Assistant, Leah Wampler. A native of the Florida Keys, Leah completed her Expanded Functions for Dental Assisting and Radiology at The University of Florida in 2016. As a working mother of two, she has a knack for calming children during dental visits and making them feel at ease. Her friendly smile and personality attributes to this gift and is not limited to children. After only being with our practice just short of one year, she has already developed a following among the adult patients as well. She shares her life with her two beautiful children, Saylor and Zane and her husband of 13 years, Zack. Her interests include fishing in the Abacos, boating and spending time with close friends. When asked what she likes to do most, her reply was "I like to make people smile." Looks like she's in the right business.